Double rhodium plated Tennis Bracelet with Czech crystals. Single rhodium plated Tennis Bracelet with Czech crystals. 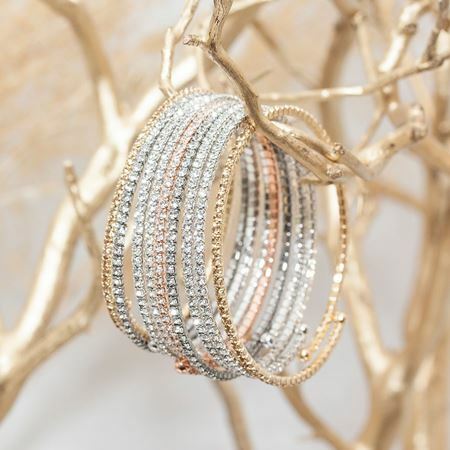 Austrian crystals hand-set in gold, rhodium, gunmetal and rose plated settings give these wrap bracelets their signature sparkle! Adjustable bracelet fits every wrist! 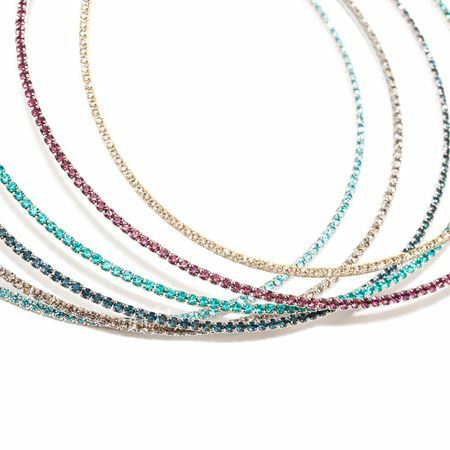 Austrian crystals hand-set in a rhodium bracelet give these single wrap bracelets their signature sparkle! Adjustable bracelet fits nearly every wrist. 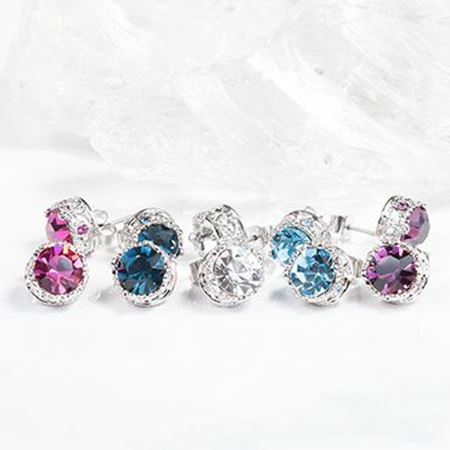 Austrian Crystals hand-set in rhodium give these hoop earrings their signature sparkle! 45mm hoop earrings feature posts of surgical steel. 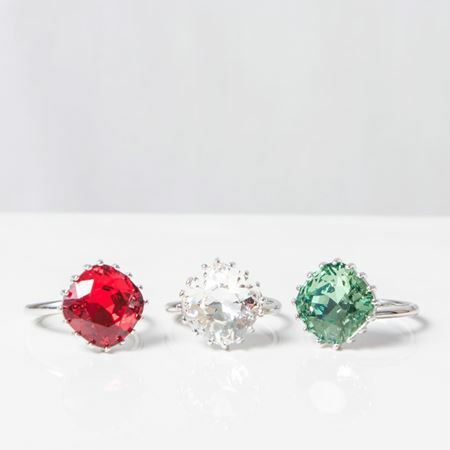 Rhodium plated adjustable spiral rings feature hand-set genuine Austrian crystals. Wrap Bracelets featuring Austrian Crystals hand set in a rhodium bracelet that fits every wrist.